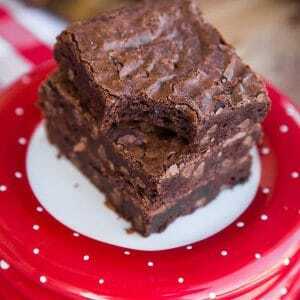 Dark chocolate cream cheese? Sure, you can come home with me. I will say, this stuff would be fine straight out of the tub, there really is no need to do anything with it aside from consuming. But given this is a blog about desserts, I figured “eat straight from tub” wasn’t going to cut it. 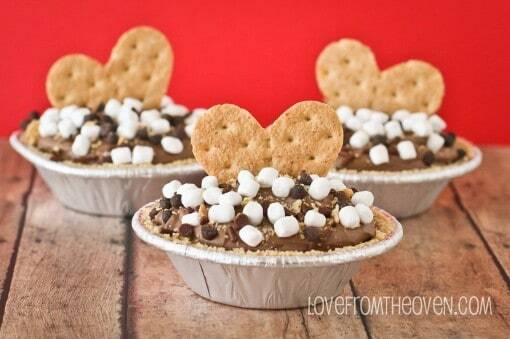 So how about Easy No Bake S’mores Cheesecake Mousse Pies? 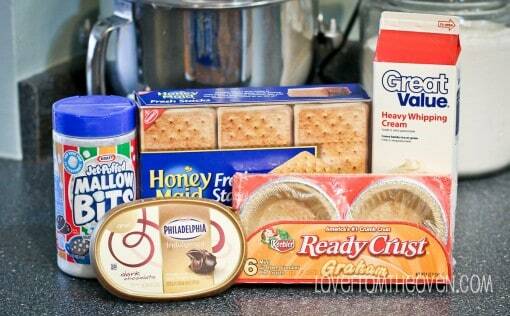 Philadelphia Indulgence (milk or dark chocolate), mini graham pie crusts, Kraft Mallow Bits, full size graham crackers and whipping cream. 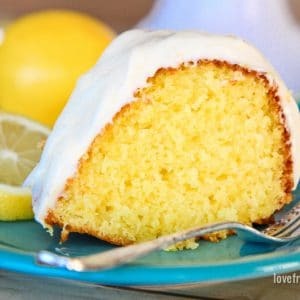 You could use Cool-Whip or some other ready made whip cream in place of the whipping cream. You can also grab some chocolate sprinkles or mini chocolate chips (which I did after I took this photo, because I am a horrible planner and think about these things at the last minute). 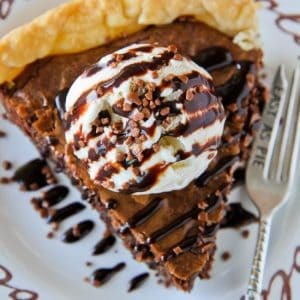 You will combine your tub of dark chocolate deliciousness with one cup of whipping cream and then mix well with your mixer until it starts to look more like whipped cream than a big bowl of milk. 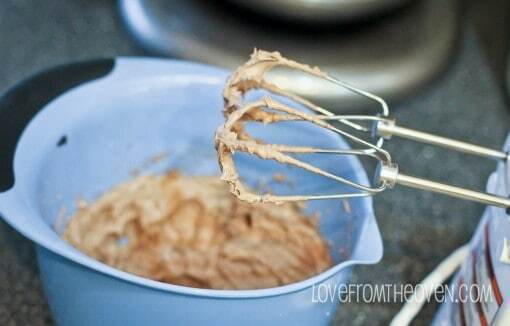 Now spoon the delicious chocolate cheesecake filling into your cute little ready made pie crusts (I told you, easy!). This recipe worked out perfectly to fill the six ready made mini pie crusts in the package. All that’s left to do is garnish. 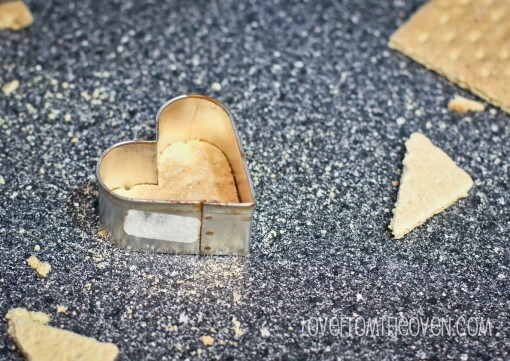 Did you know that you can cut shapes into graham crackers with cookie cutters? Yeah, me neither. I thought for sure this would fail, but it didn’t! The shape stayed together, but everything outside the shape, not so much. But that’s okay, those are precious graham cracker crumbs. Cute stuff. 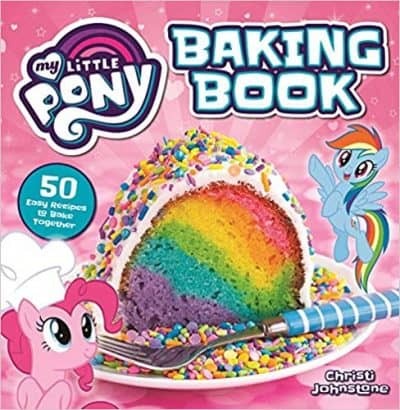 Now add those to your pies, throw on some Mallow Bits and chocolate sprinkles and what not, and call it good. Gotta love an easy no bake dessert. SO CUTE! 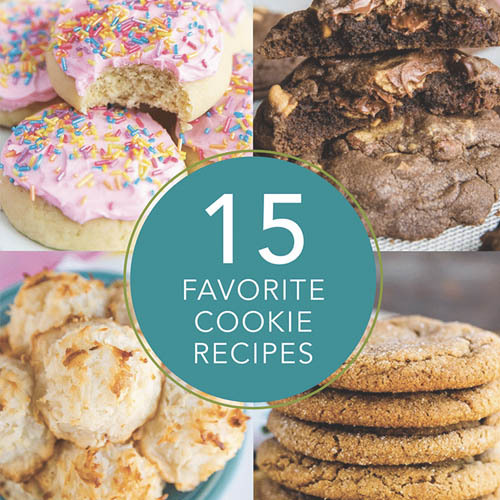 Love that it’s no-bake (I can barely pull my pants on in this heat, let alone turn on the oven–blah!) 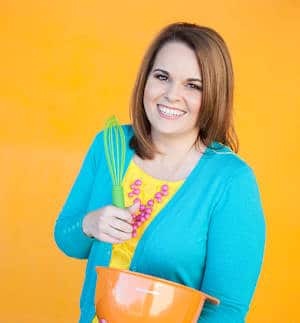 and Happy S’Mores Day, Christi! I puffy heart love that chocolate cream cheese!!! 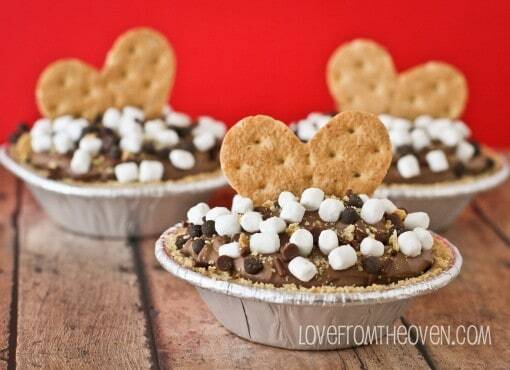 What a cute little s’mores pie! 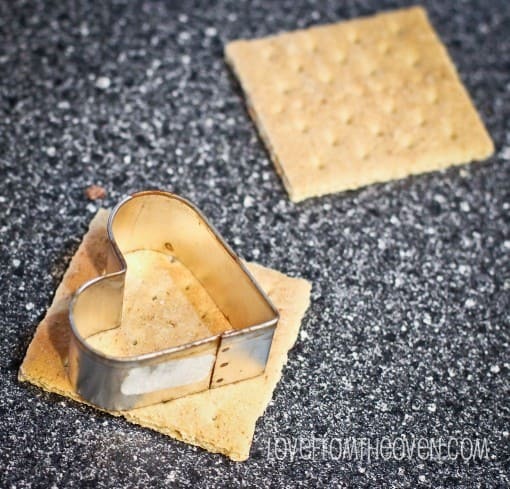 The heart shaped graham cracker on top is the best garnish idea. I had no idea you could cut them and still keep the shape!!! Gotta try that for sure!!! 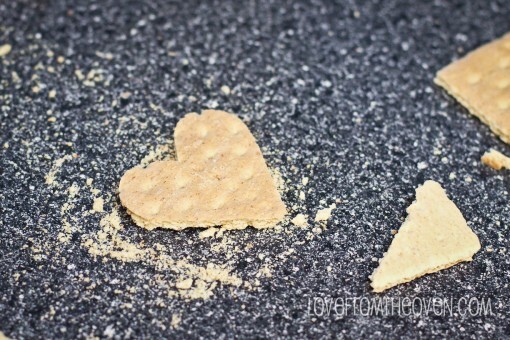 I love how you cut out the graham crackers into hearts! 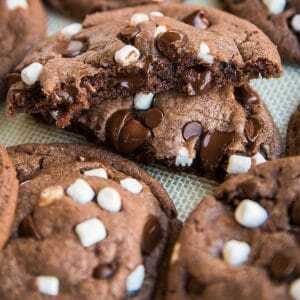 And I really love the sound of that dark chocolate cream cheese! I think a trip to the grocery store is needed. . . 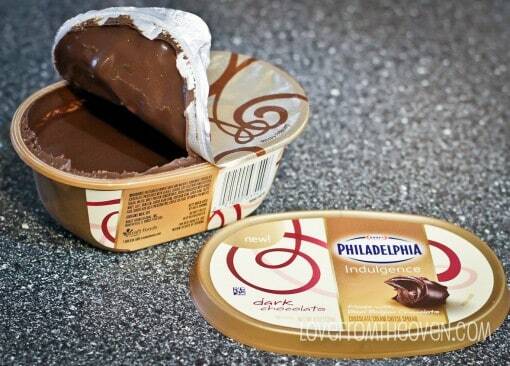 I honestly think that choc cream cheese warrants a flight from melbourne to the US right now!!!!!! Okay, I am in love with this! Those heart shaped grahams are too cute. Too CUTE! I think you and I were on the same page this week, lol! 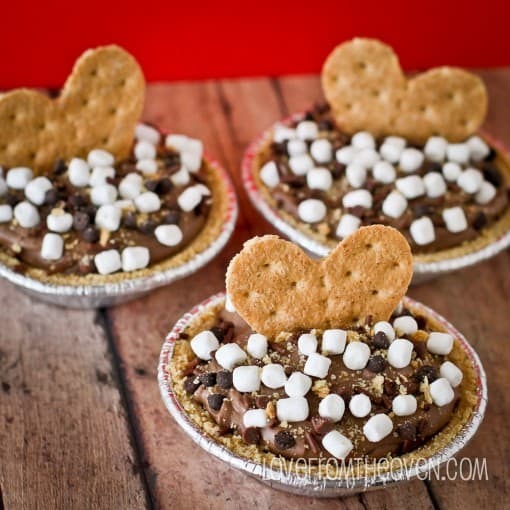 We both did Mini S’mores pies… but yours are way cuter! 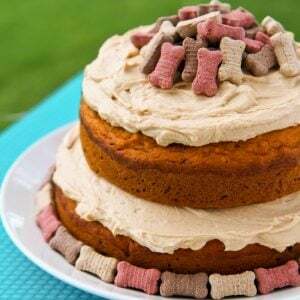 The heart graham cracker is brilliant!! 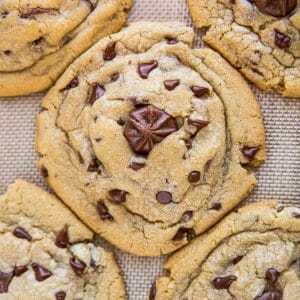 It might be interesting to try skipping a step and using the chocolate cream cheese!